Widows from remote villages in Beni Suef and Minya celebrate receiving their B'edaya microfinance loan package at private ceremony, Luxor, Egypt, March 18, 2016. Coptic Orphans has launched Round III of its microfinance initiative, B'edaya, with ceremonies honoring 42 widowed mothers who will receive LE243,500 (US$27,400) in microloans for income-generating projects. 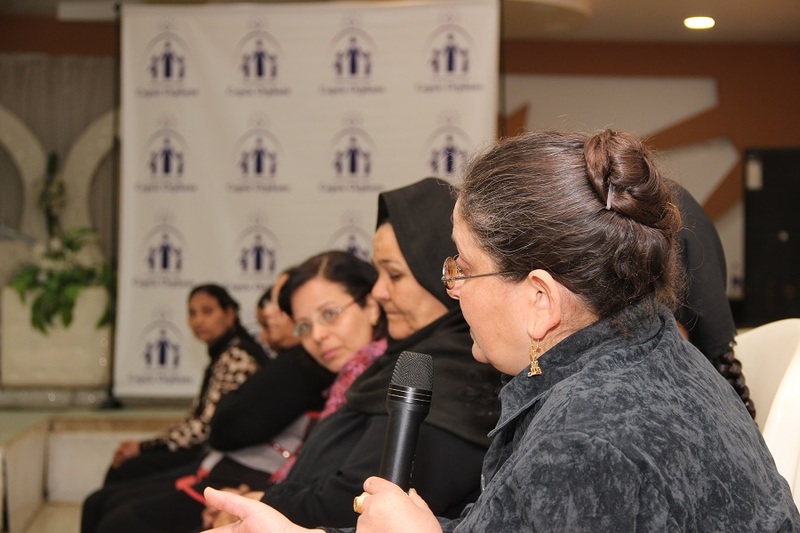 "These mothers are heroes to all of us at Coptic Orphans, and by God's grace, we're honored to provide them with both microloans and coaching in entrepreneurial skills to develop their inborn perseverance, ingenuity, and business-savvy," said Coptic Orphans founder and Executive Director Nermien Riad. "An Egyptian woman who wants to start a business faces barriers that would make Donald Trump cry," Riad said. "But Egypt’s widows face even huger challenges. Traditions restrict how they dress, who they talk to, where they go. Often, they can’t leave the house to work, even if their children are malnourished." Coptic Orphans' B’edaya is a microfinance initiative designed to handle exactly these hostile conditions — the everyday life of some of the most disadvantaged widows in Egypt, particularly those in remote villages. It tailors small loans to the needs of the mothers of orphans. The aim is to give them an opportunity to generate income, more ability to feed their children, and more control of their lives. 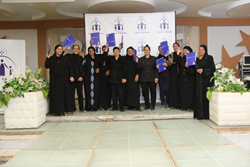 The 42 mothers were selected from among a pool of 143 widows whose children are enrolled in Coptic Orphans' education-focused Not Alone program. Seven of the mothers are receiving B'edaya loans for the second time, after running and expanding their income-generating projects, and one is receiving a loan for the third time. "When my husband died, I felt alone and helpless. I was about to sell his photography studio, because according to the traditions in my village, as a widow, I can't run the business and deal with the public," said one B'edaya client from Kom El Dab', Menoufeya. "After I enrolled my kids with Not Alone, Coptic Orphans representatives encouraged me not to sell the business, but instead to stand up for my right to work and raise my kids with pride and dignity," said the client. "So I re-opened the studio and ran the business to ensure a dignified life for my kids. With this new loan, I'm going to buy a digital camera so I can photograph weddings, which is very profitable in our area." The ceremonies represent the culmination of nine months of preparatory work to ensure proper planning, training, and an effective selection process. 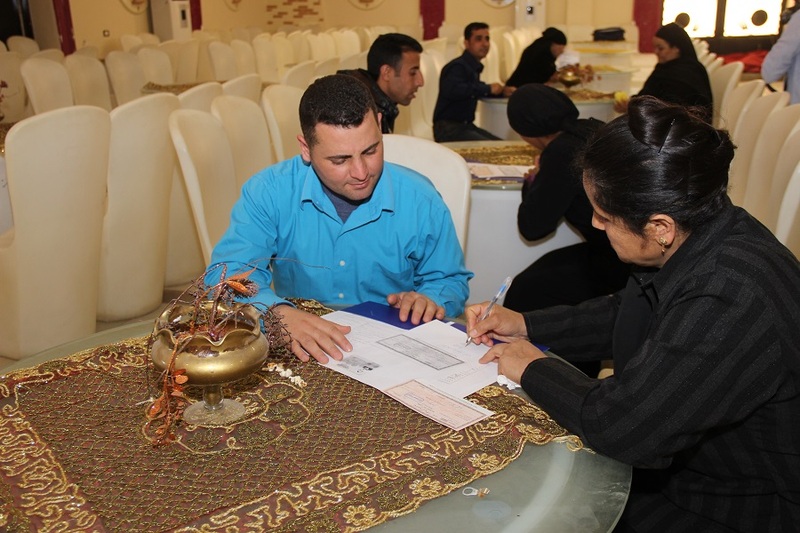 At the events, loan recipients received their checks, took part in basic financial training, and were familiarized with additional details about B'edaya. The events also provided an opportunity for the mothers to network, share experiences, and trade contact information. Previous loan recipients appeared onstage to present their advice and experiences to the Round III participants. "This is my second time taking out a B'edaya loan," said a client from Ezbet El Nakhl, Cairo. "I started my first project two years ago with a B'edaya loan to sell bedding and bed sheets." "Back then, I was so shy and afraid to take the risk, but the Coptic Orphans representative encouraged me and I succeeded in overcoming my fears and establishing a strong network of clients," she said. "From the income I generated, I was able to pay back my first loan, and renovate my kitchen, bathroom, and living room. This made me feel proud of myself for the first time. I'm taking out the second loan to expand my business by adding the sale of women's accessories. I'm much better now at marketing and communicating with my customers, so they've ask me to sell them these things." B'edaya microloans are offered at 0 % interest for 26 months, with the first six months considered a grace period for loan repayment, followed by six equal installments spaced four months apart. The loans disbursed to each recipient vary in size according to the amount requested in the application process, up to a maximum of LE7,000. The amount is also subject to the assessment of the selection committee, which is made up of the Coptic Orphans program management team. The LE7,000 ceiling is a significant increase compared to Round II, when the total amount of loans dispersed was LE91,000 disbursed to 29 mothers, with a maximum sum of LE4,000 and a 14-month repayment period. B'edaya Round III encompasses 13 type of projects ranging from selling livestock feed (4), selling groceries (11), selling women's accessories (2), selling fabrics, bedding, and sheets (1), selling cleaning products (1), raising and selling cattle (5), raising and selling poultry (3), selling machine-sewn products (8) running a photo studio (1), selling upholstery (1), selling shoes and accessories (2), running an ironing service (1), and styling hair (2). B'edaya Round III activities in 2016 and beyond will include quarterly home visits to the entrepreneurial mother by Coptic Orphans staff and volunteers, who will monitor the progress of the projects and provide regular coaching. Coptic Orphans is an award-winning international Christian development organization that unlocks the God-given potential of vulnerable children in Egypt, and so equips them to break the cycle of poverty and become change-makers in their communities. Coptic Orphans works through grassroots partners and volunteer networks to strengthen local communities for sustainable impact. Since 1988, Coptic Orphans has touched the lives of over 40,000 children throughout Egypt. Coptic Orphans has offices in Australia, Canada, Egypt, the United Kingdom, and the United States. To learn more, visit http://www.copticorphans.org. Loan recipient from previous B'edaya round shares her experiences and lessons learned with other clients, Luxor, Egypt, March 18, 2016. Loan recipient from Mattay, Minya, assisted by a Coptic Orphans volunteer, signs up to receive B'edaya microloan check to start her income-generating project, Luxor, Egypt, March 18, 2016.